You can’t have Christmas without Christmas films, and I remember December in Argentina when I was young there was a tv channel that would always show one of these movies every Sunday. I truly believe some of them can be watched all year round. So I thought I would make a quick list of some of my favourite Christmas movies. For me, this is one of the Christmas movies. After a misunderstanding, Kevin McCallister stays home alone, while their family goes on vacation without him. He has to take care of himself and the house while there are two burglars in his neighborhood roaming around. If you are looking for something funny and you don’t mind (or even like) other people’s pain, you’ll enjoy this film. I can’t say I’m a massive fan of Arnold Schwarzenegger, but I love Kindergarten Cop and Jingle all the Way. He plays a busy father who forgets to get his son his favourite action figure for Christmas and he has one day to get the last one before every other parents gets it. 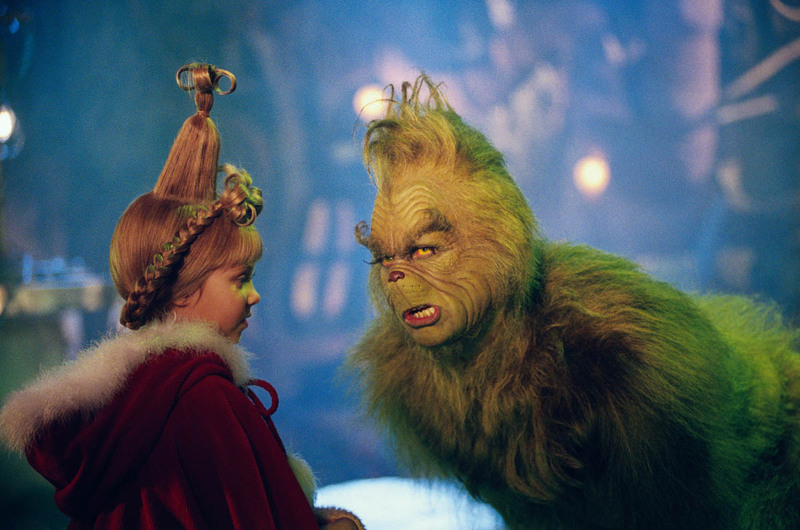 A spin on Dr. Seuss ‘The Grinch that stole Christmas’ staring Jim Carrey. This is a fun, lighthearted movie, Jim Carrey comedic skills shows throughout the movie and visually wise it’s insane. This is one of the films I said you could find in a Sunday afternoon. This movie includes a man who may of may not be the real Santa Claus, and a little girl who doesn’t believe in him. Le Fathers favourite xmas movie. A salesman gets a special creature as gift for his son with the warning to never expose him to bright light, water, or to feed him after midnight. All of this happens and the result is a gang of gremlins that decide to tear up the town on Christmas Eve. This is a modern take on Charles Dickens’ ‘A Christmas Carol’. Bill Murray’s character will be visited by the ghosts of Christmas past, present and future, and he gets an insight on what his life has become and the choices he’ll have to make to change it. I hope you like this, let me know if you agree, if I missed anything or which is your favourite Christmas movie ever. el extraño mundo de jack es una pelicula de halloween! Es un tema de discusión hace años, pero es una pelicula de halloween!